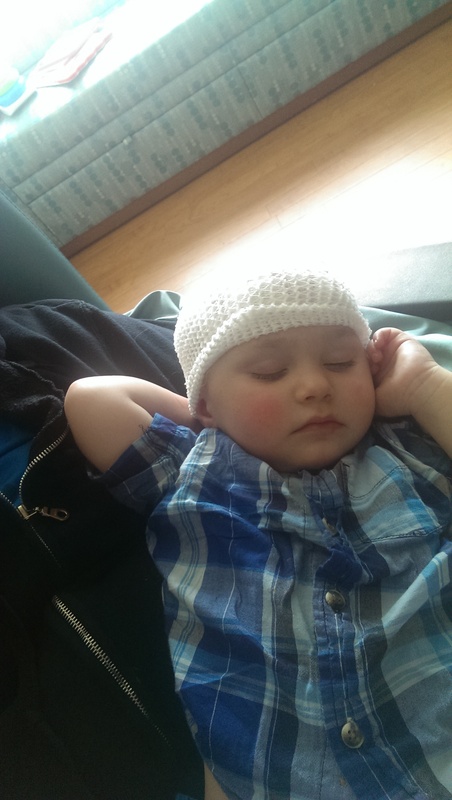 We spent Memorial Day in the hospital again getting a follow up EEG. If you remember, at the time they did Eli’s surgery, he still had a lot of abnormal spiking discharges coming from his temporal lobe. They wanted to monitor that to see if it would get better over time. 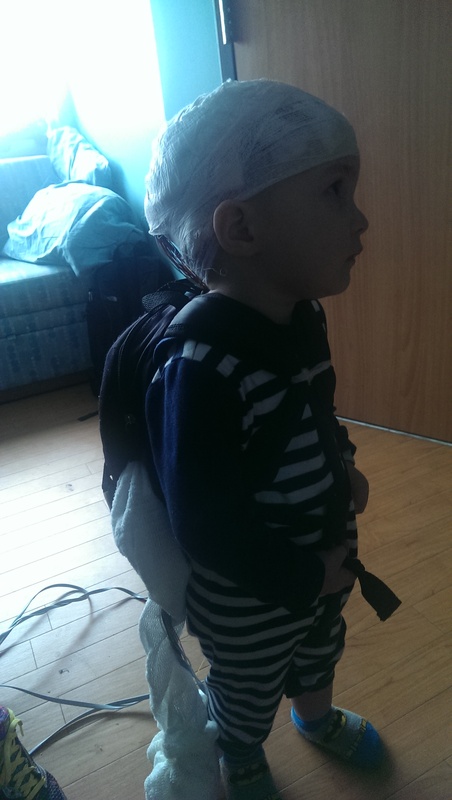 And the good news is that his EEG looked sooooo much better!!!! He no longer has any epileptic activity in his brain and there is no more spiking in his temporal lobe. His temporal lobe does show some slowing so there is definitely some evolution going on. His doctor thinks that this is just resolution of damage from that area being stimulated for so long by the frontal lobe lesion. She thinks that it will eventually go back to normal, but we will have to monitor to see. This is really the best news we could have hoped for! We are going to go home today and will get another 24hr EEG in 3 months. We meet with the geneticist tomorrow to see if she thinks he has Tuberous Sclerosis, so I will update with that information once we talk to her. I have a lot of questions for her, so I will fill you in once we get those answered. Thanks again for all the love, support, positive thoughts and prayers. 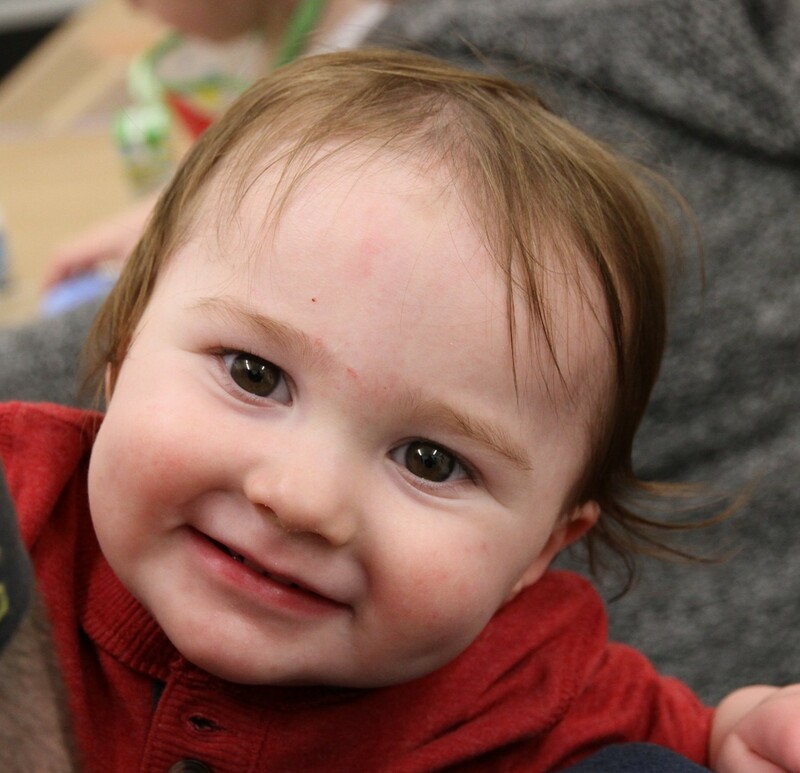 I really think my little man is on the mend and we are going to be able to put this all behind us soon. He still has a lot of work to do to make all the new connections in his brain and catch up, but I know that he can do it! Being cooped up in this small hospital room with an overactive toddler is really torture, so we are so happy to be going home!!! !